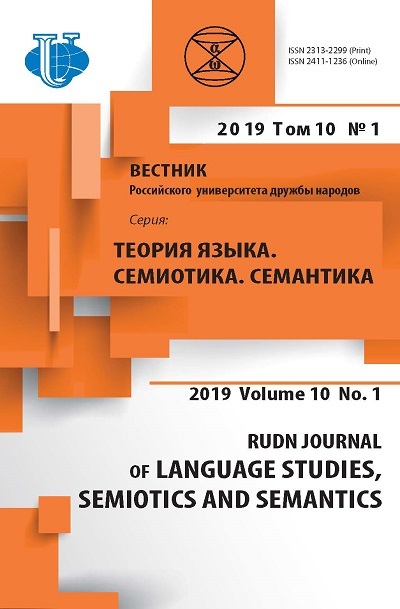 Mahmud Kashgaria’s work - “The dictionary of Turkic languages” (“Divan lugat at-tyurk”) is the complex work of comparative-historical linguistics, a lexicography, anthropological linguistics, areal linguistics, a linguistic culture, dialectology. In article the historical questions are considered and its communication with “The map of the Turkic world of the XI century”, the content of “Divanu lugat at-tyurk” in its close coorelation with the “Map” is discovered which is the annex to dictionary reveals. The author of article notes that Mahmud Kashgaria has revealed interrelation of dialectic features of Turkic tribes with their geographical habitat and also language similarity of Turkic tribes. In the conclusion are told that in the history of world linguistics “Divanu lugat at-tyurk” is the first work on areal linguistics. areal linguistics, medieval written culture, language historical monuments, outlooks, Karakhans era. Mahmud-al-Kashgari. (2010). Code of Turkic words / Translation from Arabic by A.R. Rustamov, ed. I.V. Kormushina, notes I.V. Kormushina, E.A. Potseluevsky, A.R. Rustamov. Moscow: Eastern Literature. Vol. 1. (in Russ). Mahpirov, V.U. (1997). Names of farancestors. Almaty: Institute of Oriental Studies, Academy of Sciences of the Republic of Kazakhstan. (in Russ). The oldest map of Japan, nacherchenny Mahmoud of Kashgaria. URL: islamonline.ru/ index.php (accessed: 25.01.2017). Krachkovsky, I.Yu. (1957). Al-Biruni and geographers in 11th century in the east. Selected works. T. IV. Moscow-Leningrad: Nauka. p. 267—270. (in Russ). Hasanov, H. (1967). Geographical heritage of scientists of Central Asia: [dissertation abstract] Tashkent: Fan. (in Russ). Umnyakov, I.I. (1960). The oldest Turkish world map. In: Proceedings of the Samarkand State Pedagogical Institute. Issue 1. Samarkand. p. 103—132. (in Russ). Musabaev, G.G. (1969). Some data on M. Kashgarsky’s life. In: Research on Turkic Studies. Almaty: Nauka. p. 48—62. (in Russ). Dosmuhameduly, H. (1998). Code of Turkic words. Almaty. p. 155—162. (in Russ). Shcherbak, A.M. (1961). Grammatical sketch of language of Turkic texts of the 10—13th centuries from East Turkestan. Moscow-Leningrad: The USSR Academy of Sciences. (in Russ). Egeubaj, A. (1997). Code of Turkic words (XI century). Almaty. Vol. 1. Copyright (c) 2017 Isabekova U.K.